South Africa snubs Abedi Pele? In what looks like a snub to Abedi Ayew Pele, South Africa has announced an all South African 2010 World Cup Local Organising Committee (LOC) excluding the Ghanaian whose influential role helped them win the bid for the first football World Cup in Africa. The three-time Africa footballer of year award winner was selected by the South African authorities among the high profile South Africa contingent that made the presentation before Fifa president Sepp Blatter and his 23 fellow selectors. Former South Africa President Nelson Mandela, President Thabo Mbeki and bid Chief executive were the others who addressed FIFA. “Give South Africa the World Cup, it is ready”, Ghanaian football great Abedi Pele told FIFA on behalf of the South African 2010 bid committee in Zurich in May. He was not available to comment for the development in South Africa. Irvin Khoza a South African businessman and football administrator was nominated the Chairman of the LOC. Others from the football community of the country are Kaizer Motaung, Kenneth Lebenya, Raymond Hack, Mubarak Mahomed, Danny Jordaan, Molefi Oliphant and Natasha Tshichlas. The others are from the government and the corporate community. They are Makhenkesi Stofile, Essop Pahad, Jeff Radebe, Jabu Moleketi, and Charles Nqakula. The rest are Tokyo Sexwale, Michael Katz, and Koos Bekker. Two positions on the LOC have been reserved for the football governing body in Africa, CAF. 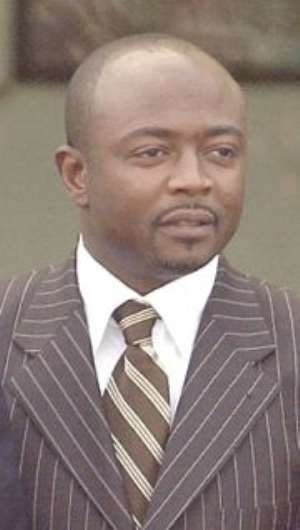 It is not known if Abedi Pele would be offered a position in one of the many committees to be set up towards the 2010 World Cup.